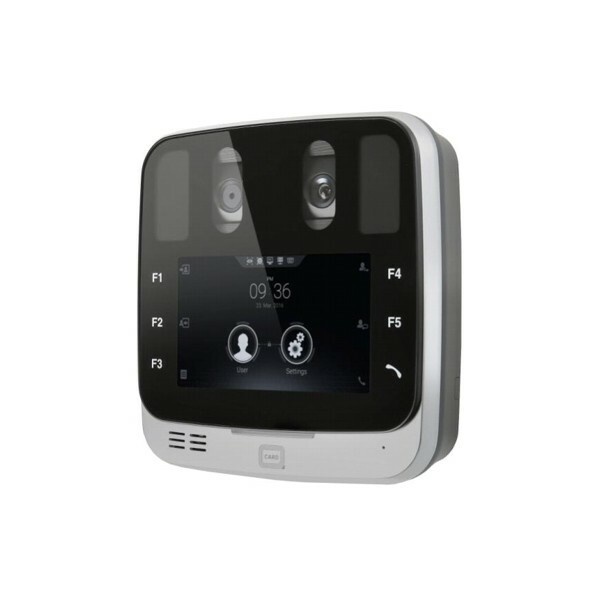 The EF-45 next generation dual Iris Recognition System provides unprecedented subject ease of use through a highly innovative and intuitive user positioning approach. 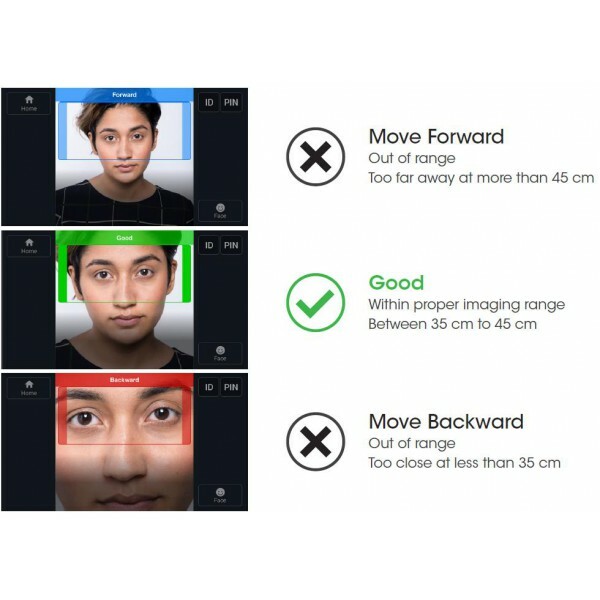 Subjects will view their own face in a front-facing, high resolution 5.0 inch color display to position themselves correctly within the real-time graphic interface. They will intuitively and naturally move to the correct position by simply centering and sizing their face image to the box within the display. In addition, the positioning box and the top border turn green to indicate proper distance positioning, after which the iris biometrics images are automatically collected, provided that the real time image quality metrics are satisfied. Vocalized commands give additional positioning guidance in real time. In addition, this system features an expansive capture range of 35 to 45 cm in enrollment mode. Now, capturing highest quality iris biometrics images is fast, simple and fully intuitive for all subjects, including non-acclimated ones. For small scale access control or time & attendance applications, the capture range can optionally be extended to 30 to 45 cm in recognition mode, further increasing positioning flexibility and ease of use. The system also captures high quality face images simultaneously with iris image capture. On board face recognition is standard. The EF-45’s face imaging sensor detects and displays the subject’s face at up to 1.0 meter from the system on the high resolution color display. 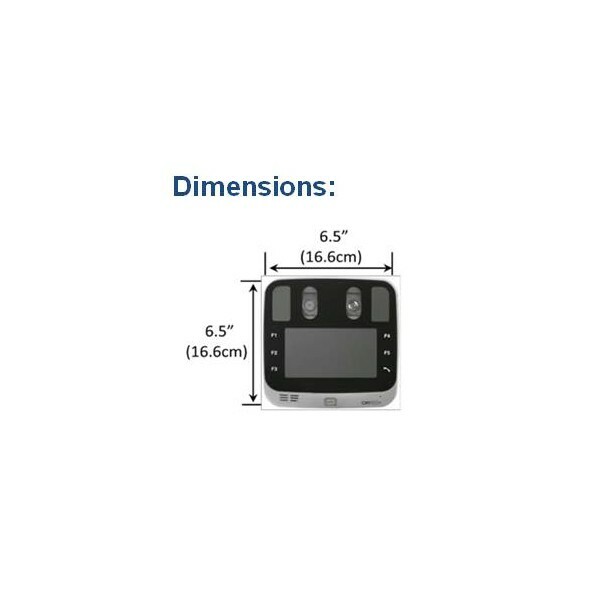 The subject will naturally move toward capture range of up to 45 cm by simply making his or her face fit the positioning “guide box”, which is the capture or focal range of the system. Vocalized instructions also command the user to move forward or back to get into range. When in the proper range, the guide box and top border turn green, indicating to the subject to stop and wait until the image capture process is completed. Like a smart phone “selfie” image, this interface is highly intuitive, with typical capture times of less than 1.0 second from proper positioning. The EF-45 is an embedded system that includes its own ARM mainboard to manage all face and iris imaging processes. 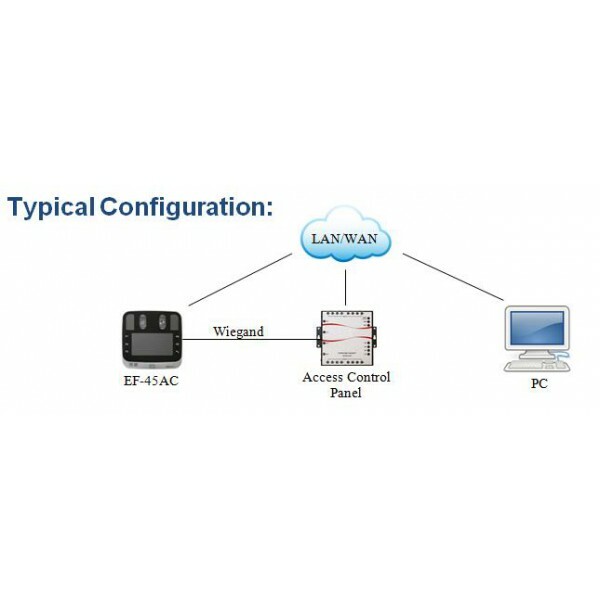 The normal external communication to host systems and clients is through TCP/IP via an Ethernet or optional Wi-Fi connection, but USB connectivity to a local PC host is available. The embedded architecture allows for on-board iris and face template generation and matching against a local data base.